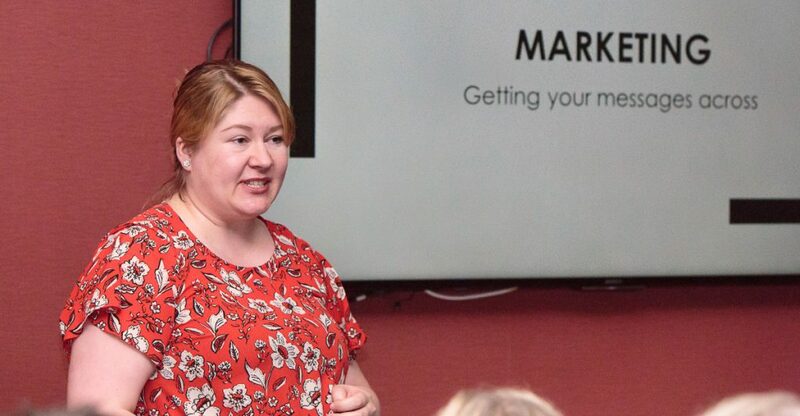 Award-winning former national magazine journalist and travel writer, experienced business editor and PR consultant Lynda Hamilton Parker shared how to use the media and other marketing channels to raise the profile of your business, as well how the media works and operates. Lynda also debunked some of the myths and mysteries around PR. For more information about this subject, you can visit her website. For more photos, go to the Album on our Facebook page. NEXT EVENT: The Club’s next event is Feb 28: Learning Lunch – Modern Apprenticeships, when John McFarlane, Employer Engagement Co-ordinator responsible for the Modern Apprenticeship programme at Fife Council, and Heather Brown, Co-ordinator for DYW Fife will explain the benefits to employers of Modern Apprenticeships.